Dreaming Of An Endless Summer? As a very warm spring is setting in this year, our bodies and soul prepare for what’s to come. Excitement swells through the air warming us to the idea of beautiful sunsets, sunshine on our skin and all the perks that come with summertime. This time of year is all about the moments we share with our friends and families. Commonly known by some as the festival season. The season emerges with sunshine bringing about dreams of road trips, live music and feelings of euphoric freedom. To accompany us through this playful season Oktoberdee’s newest collection of romantically earthy and exquisitely designed leather bags, purses and jewelry we have the completion to every outfit through the season. Founded by owner Lauren Ferry in 2005, Oktoberdee is a leather accessories label that combines functionality and interchangeability with style and quality. Oktoberdee products embody the finest Italian leather, embossed detailing, plaiting, paneling, leather fringing and illustrated fabric to create a collection where every piece tells a story. The line has in fact drawn inspiration from the deep and wonderful colours of a summers dusk to create the Dusk Dream collection. With a plethora of rustic and romantic tones of divine Italian leather we are aroused to immerse ourselves into the summer festival season. 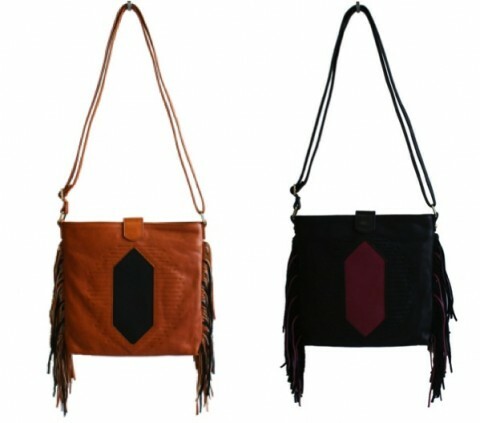 The intricately detailed ‘Mandrake’ bag is a season must have for the 3 day Falls Music and Arts Festival. 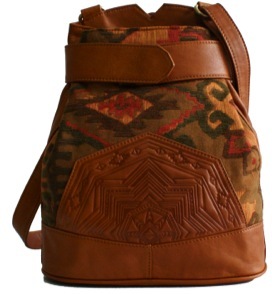 Not only does this design entail earthy Aztec upholstery but also this piece is highly functional for an event such as this as it conveniently can convert to a regular shoulder strap or worn as a backpack. Additionally the Ryder Shoulder Bag is a two-tone Italian leather bag. This bag is enhanced with unique arrow embossed detailing with lush leather fringing, it is the ultimate festival accessory that converts an outfit to gain a feel reminiscent of earth, nature and artistic inspirations. So if your currently dreaming of an endless summer and planning your outings and road trips during festival season this line is perfect to add a bit of art and soul to your outfit.